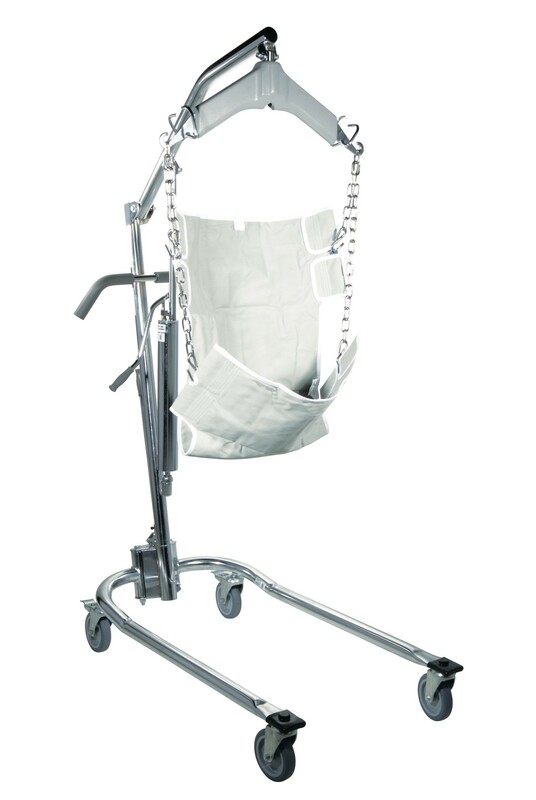 The manual lift utilizes high-performance hydraulics to ensure safe and gradual movement. Easy-to-operate breaks on the casters provide additional safety and security, while an adjustable width base allows for a proper fit. Sling not included in rental.